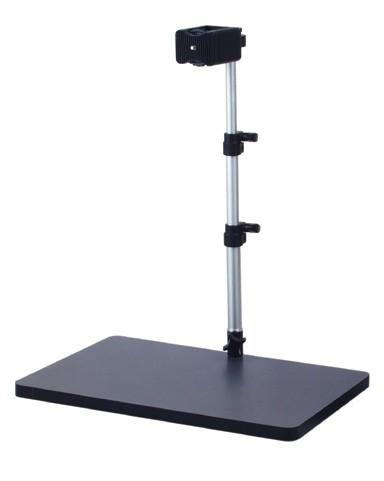 The Universal Horizontal Kit 20" is ideal for photographing a wide range of products that are best arranged flat up to about 16" x 16" (41cm x 41cm). 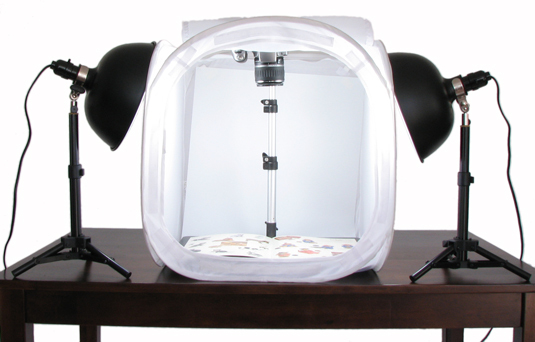 The Medium Copy Stand holds the camera securely facing downwards. The base measures 452mm x 301mm. 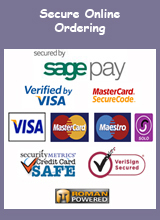 The minimum height adjustment of the column is 214mm and the maximum height is 445mm. The range of horizontal movement is 15mm. 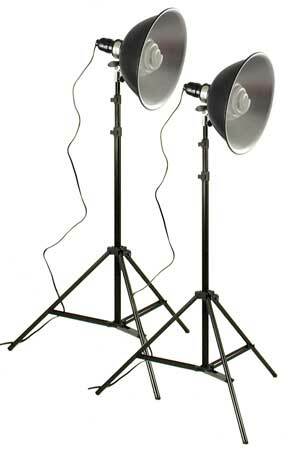 The Medium Copy Stand can be used with compact cameras as well as larger DSLRs. 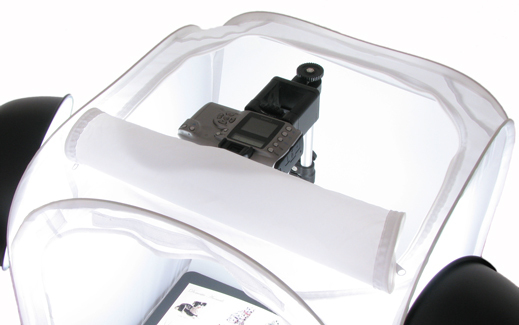 Universal Horizontal Photography Kit 20"